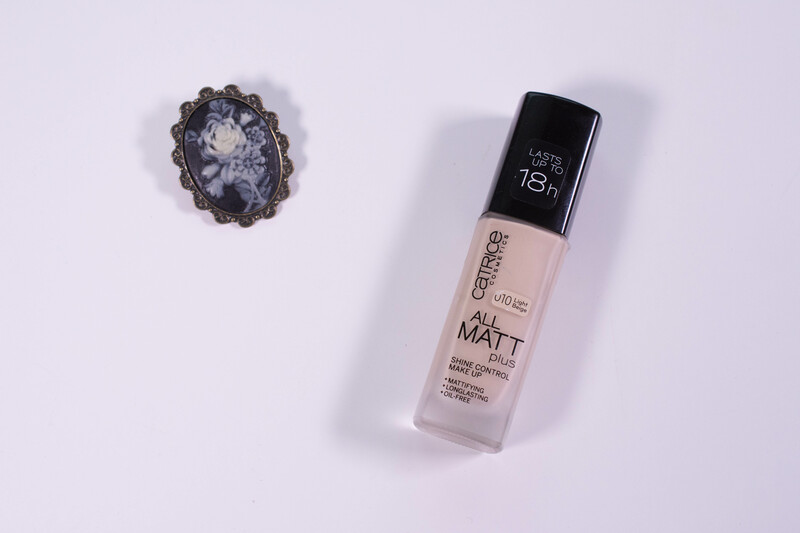 The perfect basis for every season’s make-up looks: a matt complexion. The All Matt Plus – Shine Control Make Up acts like a second, invisible skin. Unwanted shine is controlled, the complexion is mattified and the skin is replenished with moisture. At the same time, this make-up is oil-free, longlasting and offers great coverage to make little skin imperfections disappear. Light-reflecting pigments ensure a silky-matt finish and a flawless, fresh look. One bottle contains 30 ml and is sold for 6,49 € in store or online here. The glass bottle comes with a pump that deposits a good amount of product, but has a tendency to get messy. There are four shades available. I wear the lightest (010 Light Beige), which is a good match most of the year. At my palest I will use the “Lightening Drops” from The Body Shop (Review here). Catrice All Matt plus Shine Control Makeup – It comes with a pump! The foundation is slightly thicker as in “not runny”, but easy to distribute and has no strong smell. I would describe the foundation as light to medium coverage. 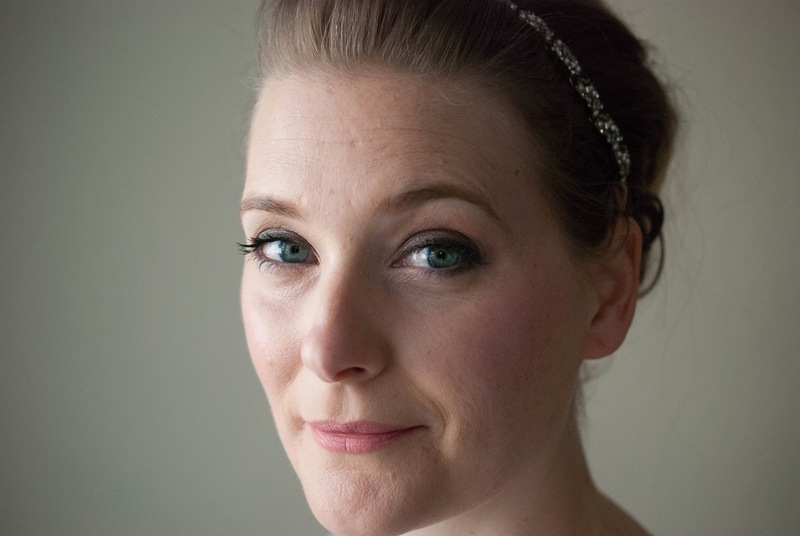 One layer will even out the skin, two layers offer a decent coverage for problem areas, but concealer is still needed. 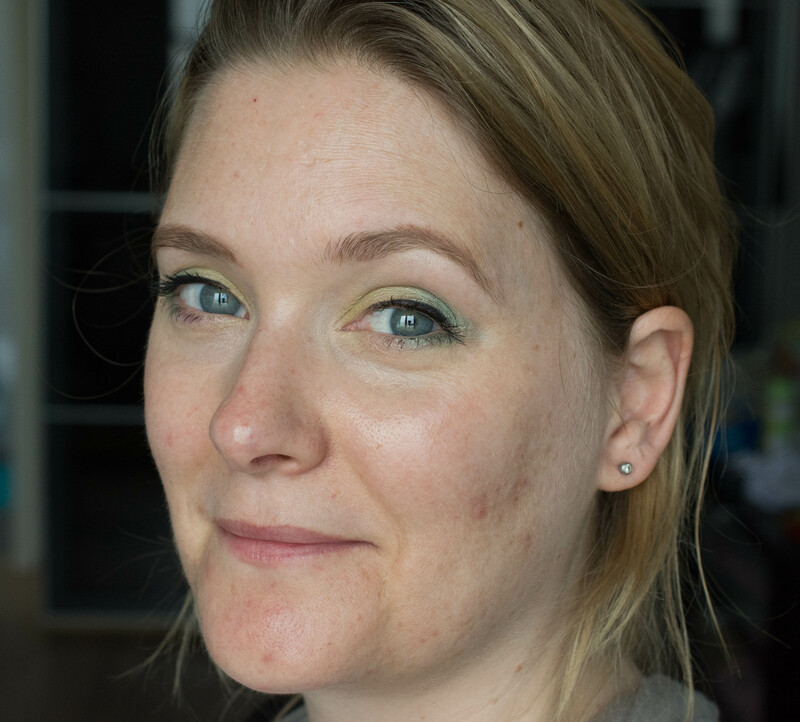 As you can see in the pictures below, the finish is dewy on my skin and far from being matte. When applied with a beauty blender, you get the most natural finish, but the pictures are taken after using a foundation brush. Bare face, only under eye area concealed, eyes and brows done. Wear time was good (no primer, set with powder around my t-zone), I noticed the product settling onto my lines at the six hour mark, but when taking it off after ten hours it still looked decent. No settling into pores as well, but accentuating dry patches a little, despite the hydrating claim. 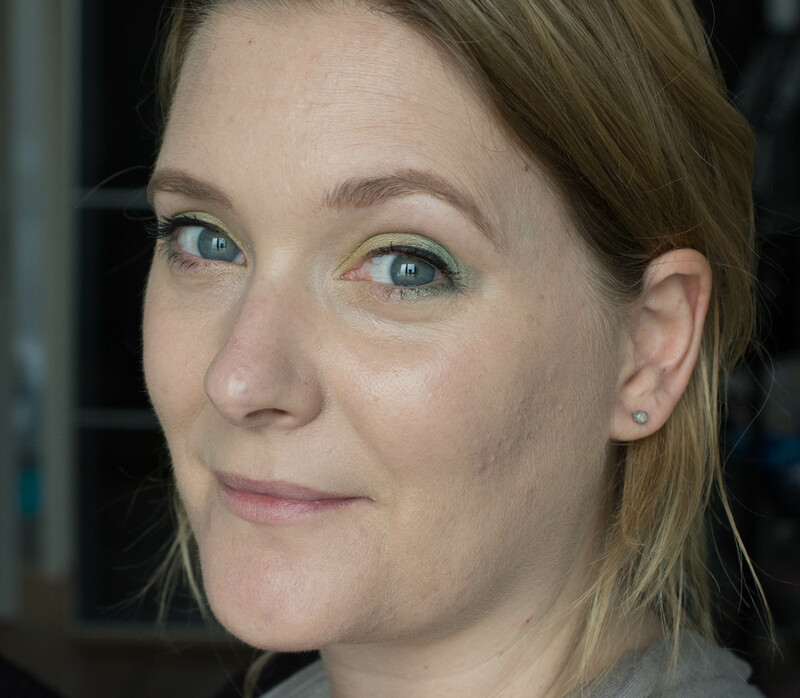 It is a lovely foundation, but it isn’t mattifying at all, and the coverage is medium, not the claimed “great coverage”. But it is pretty long-lasting. Even though it is not correctly labelled, I like the wait looks and feels on my skin and keep reaching for it. Plus, it is a bargain! If you want medium coverage and a natural finish, this one is worth checking out. If staying power is needed and lines or pores are a concern, this one will work great. But if you want a really matte finish, look elsewhere. 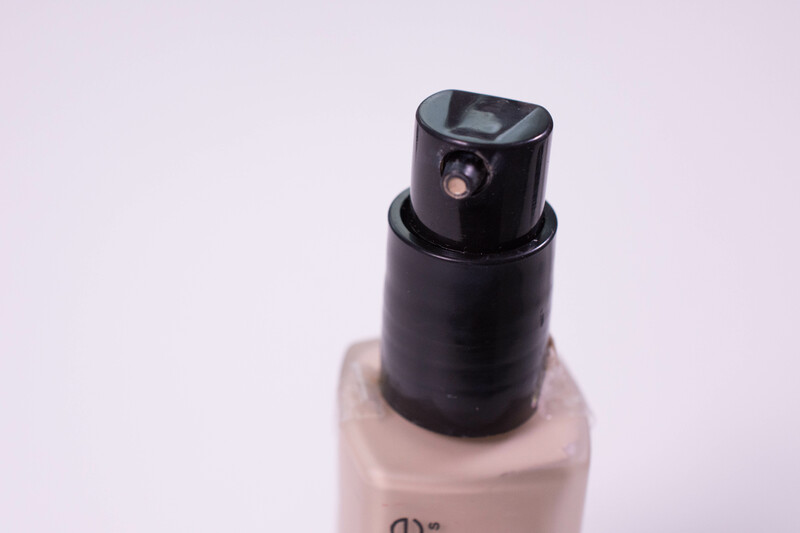 What finish do you look for in your foundation? And are you as fond of organizing stuff as I am?